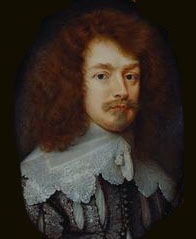 Robert Bertie, 3rd Earl of Lindsey was born circa 1630.2 He was the son of Montagu Bertie, 2nd Earl of Lindsey and Martha Cokayne.2 He married, secondly, Elizabeth Wharton, daughter of Philip Wharton, 4th Lord Wharton and Elizabeth Wandsford.1 He married, thirdly, Lady Elizabeth Pope, daughter of Thomas Pope, 2nd Earl of Downe and Lucy Dutton.2 He married, firstly, Mary Massingberd, daughter of John Massingberd and Cecilia Pettit, circa November 1654.2 He died on 8 May 1701.3 He was buried on 9 May 1701. She succeeded as the 3rd Baroness Norris [E., 1572] on 29 January 1621/22, suo jure.1 Her married name became Wray. 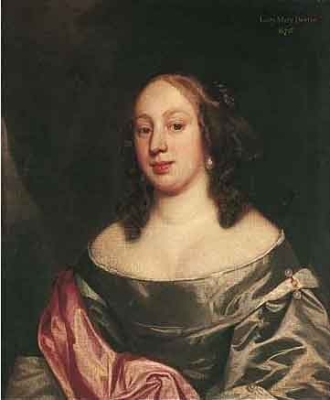 From before 1675, her married name became Dormer.1 After her marriage, Lady Mary Bertie was styled as Countess of Carnarvon. Her last will was dated 22 October 1707. [S6] G.E. Cokayne; with Vicary Gibbs, H.A. Doubleday, Geoffrey H. White, Duncan Warrand and Lord Howard de Walden, editors, The Complete Peerage of England, Scotland, Ireland, Great Britain and the United Kingdom, Extant, Extinct or Dormant, new ed., 13 volumes in 14 (1910-1959; reprint in 6 volumes, Gloucester, U.K.: Alan Sutton Publishing, 2000), volume III, page 45. Hereinafter cited as The Complete Peerage. Child of Sir William Wray, 1st Bt. He gained the title of 7th Baron Willoughby of Parham. [S6] G.E. Cokayne; with Vicary Gibbs, H.A. Doubleday, Geoffrey H. White, Duncan Warrand and Lord Howard de Walden, editors, The Complete Peerage of England, Scotland, Ireland, Great Britain and the United Kingdom, Extant, Extinct or Dormant, new ed., 13 volumes in 14 (1910-1959; reprint in 6 volumes, Gloucester, U.K.: Alan Sutton Publishing, 2000), volume I, page 47. Hereinafter cited as The Complete Peerage. [S6] Cokayne, and others, The Complete Peerage, volume XII/2, page 710. [S6] Cokayne, and others, The Complete Peerage, volume XII/2. [S6] G.E. Cokayne; with Vicary Gibbs, H.A. Doubleday, Geoffrey H. White, Duncan Warrand and Lord Howard de Walden, editors, The Complete Peerage of England, Scotland, Ireland, Great Britain and the United Kingdom, Extant, Extinct or Dormant, new ed., 13 volumes in 14 (1910-1959; reprint in 6 volumes, Gloucester, U.K.: Alan Sutton Publishing, 2000), volume I, page 46. Hereinafter cited as The Complete Peerage. [S15] George Edward Cokayne, The Complete Baronetage, volume II, page 207. [S15] George Edward Cokayne, The Complete Baronetage, volume IV, page 132. He gained the title of 2nd Baronet Fortescue.